When you are managing a fleet of vehicles there are many factors to consider. Your fleet’s overall success is affected by everything from your drivers’ skill level to your inventory status. The larger the fleet, the more complicated it can be to manage the logistics. It is possible for important things to slip through the cracks, costing your business money, valuable time and causing unnecessary frustration. There are several fleet management tips that can help improve your fleet’s performance. Establish a policy for fleet management including how company vehicles will be provided, required preventive maintenance and replacement life. In addition, create a policy for drivers including hours of use, driver safety, what you expect from drivers, required level of customer service, etc. Develop proper processes to support your policies that will deliver the outcomes that you require. 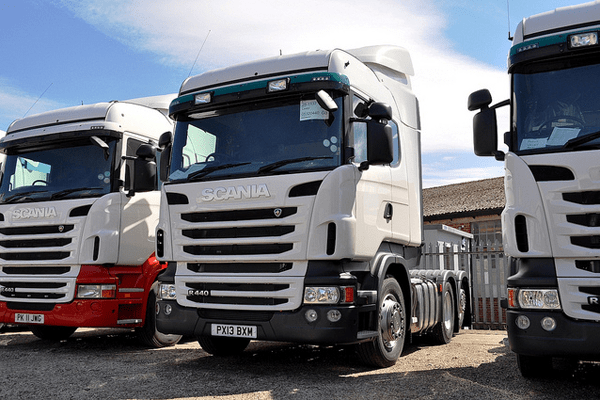 This includes the method your vehicles will obtain fuel, arrangements for your drivers to access the maintenance and servicing facilities, and reporting processes for each driver. One of the most important fleet management tips is to identify areas that need to be accurately monitored and measured. These could include mileage, speeding, idling times, aggressive behavior or other fuel-wasting or unsafe driving behaviors. Constantly measuring and sharing drivers’ performance will play a huge role in increasing productivity, improving driver safety and reducing unnecessary costs. When you are managing a fleet of vehicles, it is extremely important to communicate with the drivers and managers. It is critical that each member of your team is fully briefed about the part they play in the fleet. Your drivers need to have a clear understanding of what they are supposed to do each day. As a fleet manager, you also need to perfect your ability to lead and motivate your team. As you are expected to do more with less resources, it is important that you are able to keep your drivers motivated in order to increase productivity. Every fleet is different; however, the core goals are usually the same. Most fleet managers are trying to increase productivity, reduce costs, improve safety and improve efficiency. When you are determining which fleet management tips will work best for your fleet, make sure you consider what will deliver the most value to your company and help you achieve your desired outcomes. What's Considered as Distracted Driving?